Casa Azul Hostel v Sintra, Portugalsko: Zarezervujte nyní! 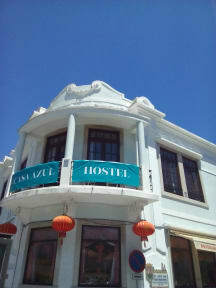 Casa Azul Hostel is a classic but young and functional spirit building itself. It has several common areas such as kitchen, dining and living room, bathrooms and outdoor terrace. 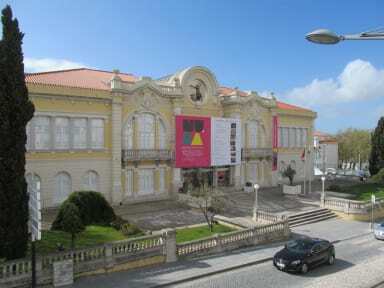 It is located 10 minutes walk from the historic center of Sintra, near the Museum of Modern Art . Casa Azul Hostel offers guests areas as dining room , living room , kitchen to prepare meals, bathroom with shower and toilet and outdoor terrace with chairs and a terrace table . It has 1 double bedroom , 1 triple room and a dormitory for six. We offer free WiFi all over the hostel and TV in the dining room with international channels. It has heating in the rooms and in the common rooms. It has ideal conditions to relax after a visit to Sintra and surrounding areas, for example the beaches, or the westernmost point of Europe, Cabo da Roca. Blue House Hostel is located in the neighbourhood of Estefanea , next to the Museum of Modern Art and Olga Cadaval Cultural Centre . In the area there are several restaurants, a municipal market and a small supermarket . It is near the train station of Sintra and the Bus Terminal. Easily accessible to the beaches of the county, as well as to Ericeira , famous for surfing. The hostel is unable to accept children. The reception is open from 8 am until 20 h , may this time be extended on request. All are welcome and are asked to respect the facilities and other guests. In the kitchen and the bathrooms each have to ensure the neatness and cleanliness. Keep the house as if it were your home .